Where Do I Write a Blog? Where do I write a blog is one of the question people ask me a lot. Few people write blog to express their personal views on a certain topic. Few people write about their family, friends and their personal experience. Professionals write to make money out of it by contributing and providing important information on their blog. These information is valuable and helps millions of people searching content online.Overall, choosing a right blogging platform is very important. There are many websites on which you can start your blogging career or you can make one for yourself by purchasing hosting and domain name. However, you should get the basic first by writing somewhere that means on any other website. Secondly, Offline and online writing is totally different if you want to find your content on search engines like google and yahoo. Here I am going to list some of the big and best websites on which you can start writing a blog right away. All these websites provide an easy way of making your blog right from beautiful templates to support and you are going to find a ton of content on these websites teaching you every how and why. 1. Blogger - http://www.blogger.com You can make your blog just by signing with your Google account on this website. It's one of the best and millions of people in the world use this website. Blogger provides many beautiful templates, widgets and let's you customize your blog totally. You can also earn money by Adsense ads which is also run by Google. By showing ads of Google adsense, you can earn money out of your content. 2. Wordpress - http://www.wordpress.com Wordpress is the next big and famous website to build your blog. 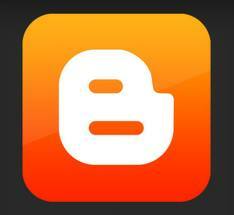 All famous blogs are build on this platform only however the free version has certain limitations. You can not show ads and you cannot fully customize the template of your blog. 3. Hubpages - http://www.hubpages.com Hubpages is another good websites to start your blogging career. Hubpages community is very big and supportive. I wrote once upon this website and it's easy and very good. 4. Squidoo - http://www.squidoo.com Squidoo is another website similar to Hubpages. However they have quite a bit more complicated way of writing blog which I didn't like. You can give it a try. 5. Blog - http://www.blog.com Ceratain there is no better place to start your blogging career on blog.com itself. They have nice templates and everything else which will help you to write your blog easily. 6. Livejournal - http://www.livejournal.com Register yourself on livejournal.com It's a big and very high ranking website. Millions of people are using it. If you have watched the movie Social network, Zuckerburg used this website to post his initial development of facebook. Check all these website and then decide which one you want to choose. It's totally upon you. I used almost all of them but didn't continue with Squidoo only. So, Decide for yourself. Do share this on Facebook and Twitter.